Koala Lee Lee is an unusual beach-loving marsupial and something magical has happened. He has heard a ­whisper from across the sea inviting him to visit a ­country called China. It seems there can be no ­stopping our little adventurer as he sets off from his home in Australia on the first of many travels around the world. 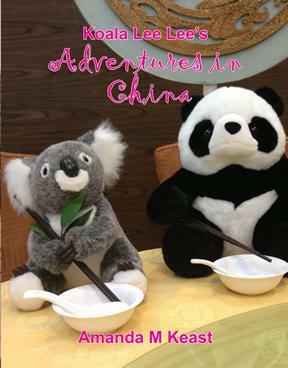 Want to own more books in the Koala Lee Lee Adventure Series? Click here to purchase any seven pay for only six. Review : What a lovely book it is! With beautiful words and artistic photos, it successfully attracts my kid's and his fiends' attraction. He loves this Koala a lot and wants to see the real one! Definitely it is a great book that is worth reading.